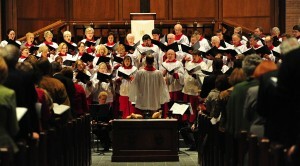 Worship is central to the life of Second Presbyterian Church. Each Sunday we come together to worship God as a community. In our worship we seek to cultivate a sense of reverence and awe. The sermons are biblically based, provocative, and relevant to the practice of the Christian faith in our daily lives. Our services follow the seasons of the liturgical year. Music has a special place in our worship services. 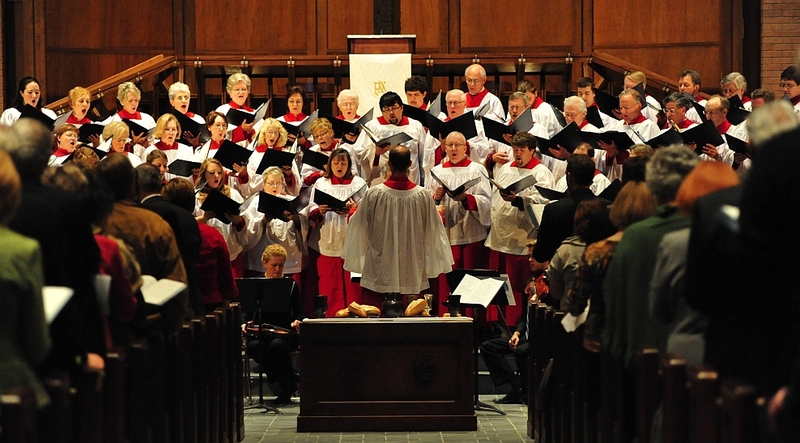 Each Sunday, the music helps open the doors of our souls and draws us closer to God. Childcare is provided for preschoolers during all worship services, and interpretation for individuals who are deaf is provided during the 11:00 a.m. worship service. Our 8:30 and 11:00 services, held in the sanctuary, are traditional in nature. While most of our music is drawn from the classical traditions, we celebrate the diversity of music with excursions into other styles. The Lord’s Supper is celebrated the first Sunday of each month, and infants are baptized on any of the other Sundays of the month. Non-members are invited to join the church at the close of each service. A “time with the children” is a regular part of worship each Sunday. Our nine o’clock service, held in Second Hall, is a casual, forty-five minute service for all ages. This service is more informal in dress and style. All are invited to gather as we sing praises to God together, led in a variety of musical styles. We pray, read scripture, and proclaim God’s Word. We celebrate the Lord’s Supper and are encouraged to live the good news. Infants are baptized on any Sunday of the month. Non-members are invited to join the church at the close of the service on the second Sunday of each month. Our worship life is enhanced by special seasonal worship services, including Thanksgiving, Christmas Eve, Ash Wednesday, Maundy Thursday, and Good Friday.